On Tuesday, I went to the dentist. As usual, my teeth were fine. They just needed their semi-annual cleaning. However, also as usual, came the awful question: "Have you been flossing?" This was followed by my embarrassment-filled: "No." Don’t get me wrong. I don’t have anything against flossing. I know that it is good for my teeth and gums. I just can’t seem to work it into my routine, though. I’ll floss for a few days after my checkup. Then I forget about it completely until a few days before my next checkup. 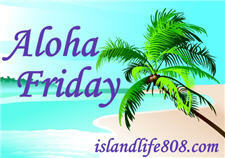 My Aloha Friday question for today is: How good are you with flossing? Do you floss every day? 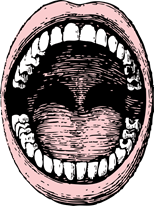 Disclaimer: The “open mouth” clipart above is from OpenClipArt.org. I know I should but no. Maybe every other day. I usually floss every night. I have a thin about my teeth – I have to brush every time I eat and I’m a stickler about flossing. All of my adult life I’ve had recurring dreams about my teeth falling out…maybe that’s why I’m so diligent, LOL! I do try to at least once every day, sometimes even twice! Well, I have to say I not not regular at it. However I do it when I remember. maybe 3 times a week. When I was pregnant with my first,I flossed every single day. Now? Probably every other. Like you, I forget sometimes! Well I don’t floss as much as I should, but I do brush 3x a day & I do rinse with mouthwash. Flossing I don’t know I just forget. I’m nuts with the flossing. I love those little pipe cleaners. They have them at the dollar store. I know I should and I try to do it regularly but I really hate flossing! I should floss every day but I don’t. However, I am doing better than I used to!